Lynne has characterized our lives together into several big chapters: the "Expat" chapter, the "Colorado/Cabin" chapter and the "New Jersey" Chapter. She may have different names, but I think she is right. We spent about 1/3 of our 30+ years together working in Europe. First in Germany, then The Netherlands, and finally in France. Then about 1/3 living and working in Northern Colorado where we enjoyed our mountain land and built our "off the grid" cabin. Finally, the past ten years in New Jersey, which has been a fun work and life experience. 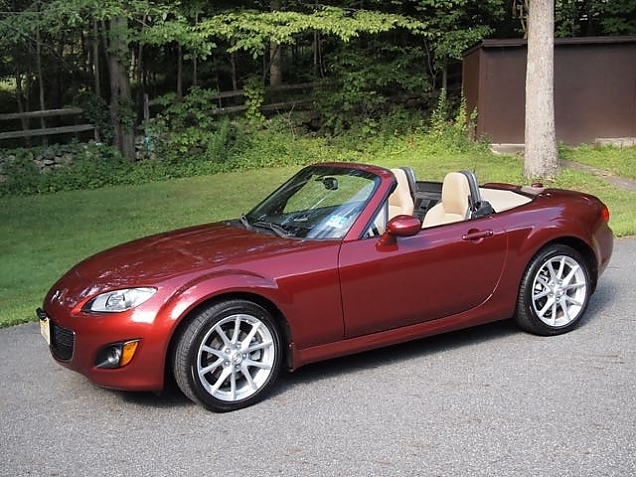 A subchapter of the New Jersey experience is having "Mia" our 2010 Mazda Miata. Mia is now gone. I sold her earlier this week. It was just not a practical car for the muddy, washboard roads we'll drive while living at the cabin. And, it sure didn't make sense to keep her in storage over another winter. So, while I got a bit less than I think she was worth, she is gone. I'm sad. I'll miss commuting to work on the winding NJ backroads, and weekend drives with Lynne. But, all chapters must end, and it was time.